Enroll your child in one-to-one reading tutoring in Auburn CA to help them in their journey. Call The Tutoring Center, Auburn CA at (530) 878-5010 to schedule a free consultation. Reading avidly comes with its fair share of benefits: from opening up the reader's mind to widening their vocabulary. An important benefit that it may bring, however, is that it can help your child develop their reading comprehension skills. Practice makes perfect, so to get your child to practice often. You can try a few different methods; such as taking them to the library, reading with them every day, and allowing them to choose reading material that interests them. The environment your child reads in will most definitely have an impact on how much they understand from the text. This is because being uncomfortable, distracted, or having to strain their eyes, won't allow your child to focus on the book at hand. That's why you should create the perfect reading environment. Said space should be equipped with enough lighting, and comfortable and suitable furniture; as well as have absolutely no distractions that could steal your child's attention. Aside from having comfortable furniture and a well-lit space, your child should also have certain learning tools at hand that can help them to grasp the reading material they're going over. For that reason, it is a good idea to provide a few of them. For instance, a dictionary is a must, since it will allow your child to look up any unknown words. A highlighter may also be of use, as it will help important information stand out from the text. Becoming a great reader can be a challenging feat to accomplish. That's why it makes sense to enroll your child in one-to-one reading tutoring classes that will assist them and provide the support they require to sharpen the skills necessary to achieve that academic goal. An experienced tutor will be able to provide a comfortable and positive environment in which your child will be able to learn at their own pace and with the attention they need, making their learning experience a successful one. Call The Tutoring Center, Auburn CA at (530) 878-5010 to request information about their academic programs, or to ask how tutoring in Auburn CA can benefit your child. A simple tip that can help your child enormously with their reading comprehension efforts is to motivate them to take notes as they are reading a text. Writing down character names, the story's main plot points, and other similar information will force them to pay attention to what they're reading. Moreover, following this tip will help them organize their ideas about the text they're going over. More often than not, to understand a text fully, you need to have certain information that is deemed 'common knowledge'. In fact, most reading material references other places, events, people, and more. This means that reading a text without that previous knowledge can make its understanding trickier. To help your child in this situation, offer some context about what they're reading. For instance, if they read a story that takes place on the moon, research it and learn about it. 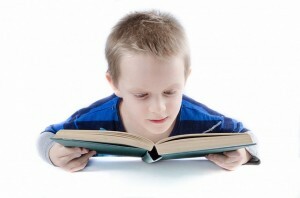 If your child is having a challenging time staying on track with what they read, then they can make use of several reading techniques that can assist them in improving their comprehension. For example, if your child often skips words, sentences, and even paragraphs, reading aloud can help them avoid this occurrence. Another technique is to reread a passage until it's understood. This, so your child doesn't carry their confusion around through the rest of the material. As a last tip, you should take some time to discuss the reading material your child is going over. Giving them a chance to share their questions, opinions, and interpretations will help them arrange their thoughts. Furthermore, hearing your own perspective will open their mind to other understandings. In the end, discussing a book can be an incredibly enriching experience for the both of you. Call The Tutoring Center, Auburn CA at (530) 878-5010 to enroll your child in one-to-one tutoring in Auburn CA.